Paradise awaits in this Balmain Kids® Short Sleeve Palm Tree Balmain Beach Club Tee. "Balmain Beach Club" along the front. 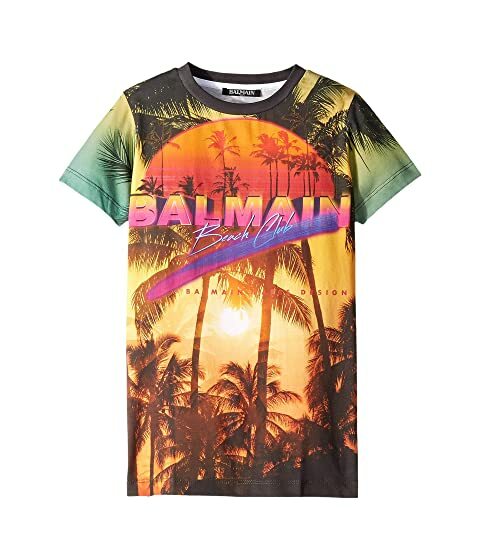 We can't currently find any similar items for the Short Sleeve Palm Tree Balmain Beach Club Tee (Big Kids) by Balmain Kids. Sorry!